Sometimes we Christians will forget just how different our worldview can be to one on the outside looking in. Not only do we use unusual phrases, but we see everything differently. The created world has structure, order and even purpose that have all been disturbed by our sin and rebellion against our Creator. The actions of mankind are not merely personal, nor do they only affect others, but they are ultimately judged by an absolute moral standard. However, forgiveness and transformation is available for those who place their trust in Jesus the Messiah. It’s claimed that these ideas have been consistently held by the first Christians such as the apostle Paul. However, reading one of Paul’s letters may feel at times like entering another world filled with unusual and unexplained concepts. Stephen Westerholm understands and appreciates this culture shock that many experience when reading Paul, and so he has provided Understanding Paul as a “preface to his thought that addresses the gap between his horizons and [our] own (p11). Westerholm chooses to introduce Paul to his readers by way of tracing the flow of thought in Paul’s letter to the Romans. 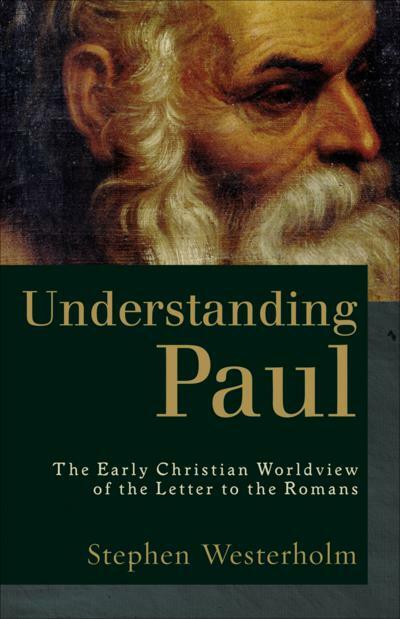 So what makes Understanding Paul any different from the multitude of books on Paul or the letter to the Romans? How is this book unique? It must be taken on its own terms. Its length (166 pages) and style make is far more approachable than the usual book on Paul (for example, Wright’s recent 1,700 page anvil). Westerholm is a brilliantly creative writer and enjoyable to read. He is able to take complicated concepts and explain them in uncommonly understandable and even humorous ways – particularly in his illustrations. Scholars are not often known for their creativity and humor. This results in a unique work, akin to that of a Biblical-scholar C.S Lewis (to steal Thielman’s endorsement). This is not a commentary, though Understanding Paul works surprisingly well as an introduction to Romans. Westerholm walks through each chapter of Romans (12-16 are summarized in one chapter), summarizes the main point and uses that as a launching pad to address different elements of Paul’s worldview. This is not only an introduction to the Christian worldview, nor Paul’s worldview, but also, perhaps somewhat unintentionally, serves wonderfully as an introduction and survey of Romans and key themes within. There are a number of books on Paul and Romans, but how many could you recommend to an unbeliever? What about an unbelieving RE or history teacher? This book has such a broad appeal I would certainly put this in their hands without a second thought and recommend they consider using it with their pupils even. Westerholm wants to dig deep into Paul’s mindset, not point at him and say, “isn’t this guy weird?” unlike many history teachers! Of course Romans invites many differing opinions and contains a number of controversial topics but Westerholm attempts to navigate past these issues and address the most important points. At times Westerholm’s own view shines forth, such as his view on the New Perspective on Paul, the law (he takes a Lutheran view), and a slightly unusual take on Romans 9-11. With the latter, Westerholm appears to hold individual election to salvation with quotes as this: “Adamic human beings, for Paul, cannot become God’s people, or even respond to God’s goodness with faith, unless God, acting on his own initiative, creates those possibilities; hence, the need for ‘election’ of believers” (p147). And yet, on the very next page he says the following, “…a number of texts indicate that divine grace can be resisted, and even that members of the Christian community may prove faithless and be lost. None of this suggests that Paul thought the ranks of the saved and the perishing have been fixed from all eternity.” (p148). Though his engagement with Romans 9-11 is comprehensive and otherwise excellent, I was left confused on how Westerholm reconciles both seemingly contradictory ideas in these quotes I’ve provided above. I’ve never come across a view on Romans 9 quite like this. I thoroughly enjoyed and devoured Understanding Paul. Westerholm manages to explain Paul’s worldview, survey the letter of Romans, write with elegant clarity, and do so in under 170 pages! I can’t think of anyone who would not profit from this book. Particularly, I would certainly recommend this to a believer or unbeliever who wants to better understand Paul and his theology and worldview and as a great resource for teachers and university-age students. I may use portions of it in our Romans class next semester. This is far from a tract, but in Understanding Paul we have an objective and yet sympathetic survey of Paul’s theology and worldview that I would happily give to any inquiring and thoughtful believer or unbeliever as a great introduction to Paul, Romans and the beliefs of Christianity itself.